Thank you for joining us on the Virtual Book Tour for Bad Time To Be In It, a Mystery by David Burnsworth (9 March 2018, Henery Press, 218 pages). 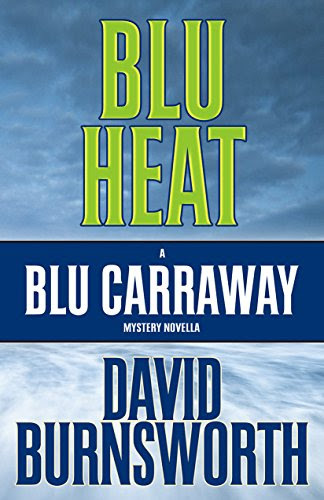 This is the second book in the Blu Carraway Mysteries series. Don't miss our Guest Post by author David Burnsworth, "A horse is a horse, of course". 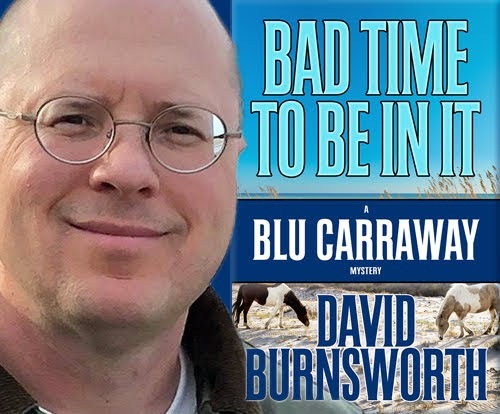 Author David Burnsworth will be awarding a $20 Amazon gift card, and one copy of the book to a randomly drawn winners via Rafflecopter during the tour. Please do take part: comment on our post and follow the tour where you will be able to read other excerpts (☀), interviews (ℚ), reviews (✍) and guest blog posts (✉). Blu Carraway, flush with cash and back in business, never had it so good. Or so he thought. The reality is his love life is in shambles, his business partner is spending too much time with women half his age and not enough time on the job, and someone close goes missing. Blu tries to avoid the first and second by focusing on his work, but it’s the third that very nearly does him and everyone around him in. His business partner goes off the rails, his friends show their true colors, and he realizes that getting closure sometimes means walking away from everything. 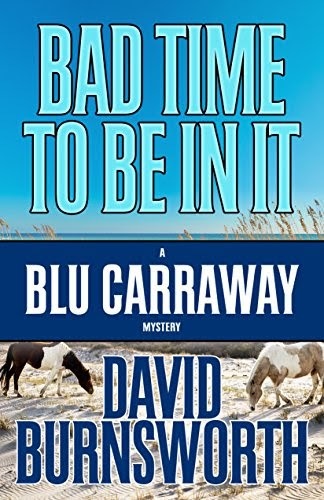 With a case from the past gone wrong twice, a loved one in trouble, and an unanswered marriage proposal, it’s a bad time to be in it for Blu Carraway Investigations. || [0.5] ||  || Click on the book cover to Look Inside the book on Amazon and read an excerpt. A man walks into a bar, and dies. It isn’t just any bar, it’s the Pirate’s Cove located on the Isle of Palms, a barrier island just north of the Charleston, South Carolina harbor. Marine veteran Brack Pelton tries to stop the murder and almost dies himself. The victim, Skip Romeo, has a shady past and some interesting friends. 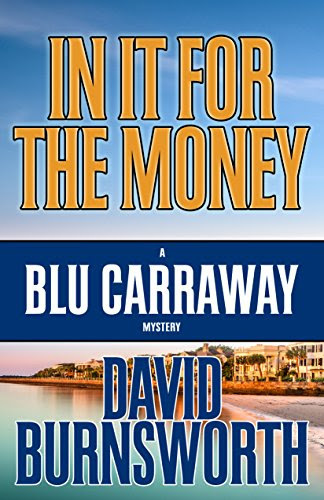 The friend he’d planned on meeting at the bar before he got shot was lowcountry Private Investigator Blu Carraway. David Burnsworth became fascinated with the Deep South at a young age. 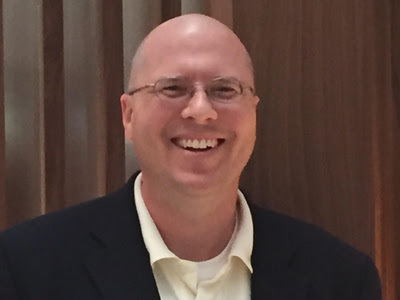 After a degree in Mechanical Engineering from the University of Tennessee and fifteen years in the corporate world, he made the decision to write a novel. Big City Heat is his fourth mystery. Having lived in Charleston on Sullivan's Island for five years, the setting was a foregone conclusion. He and his wife along with their dog call South Carolina home.